This week's multitasking cream product of choice is Stila's Convertible Colors. These creamy babies can be used on the lips or cheeks. I really like how the Convertible Color compacts correspond with the color of the product. A cute, and practical way to let you know which color you're reaching for. From left to right: Lillium, Magnolia, Camellia. Magnolia (discontinued): A muted brownish-mauve. From left to right: Peony, Gerbera, Petunia, Gladiola. Peony: A neutral pinky-brown with a slight hint of peach. Gerbera: A soft milky peach. Petunia: A vivid yellow-based pink. From left to right: Fuschia (This is how it's spelled on the compact), Rose, Poppy, Orchid. Fuschia: A blue-based bright, yet toned down Fuchsia. Rose: A deep reddened-berry rose. Orchid (discontinued): A deep raspberry-red. 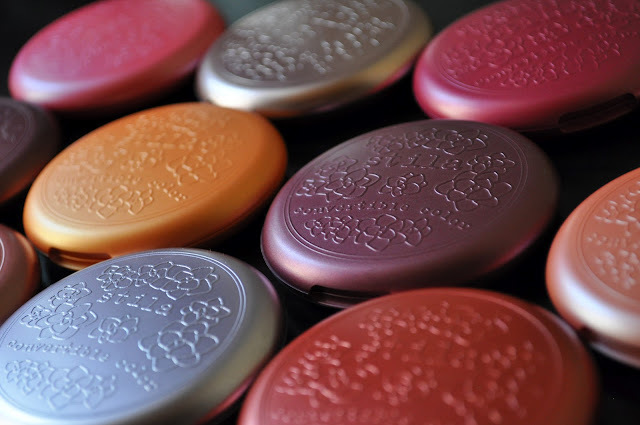 The Stila Convertible Colors are pigmented, creamy (non-sticky) and long-wearing. 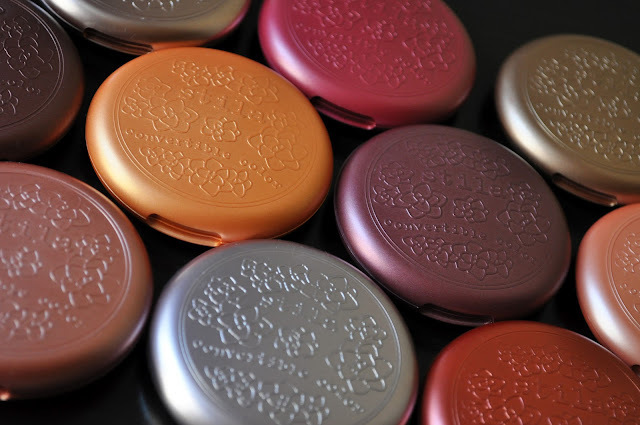 If you're into cream blushers, I highly recommend you check them out. Convertible Colors retail for $25.00, and are available at stilacosmetics.com, sephora.com, and anywhere else Stila products are sold. What are your favorite cream blushers? I only managed to acquire the gladiolia before sephora left hongkong... It doesn't appear orange on me at all, more like a pink coral. Love it a lot!!!!!! Wish I could get my hands on more!!!! 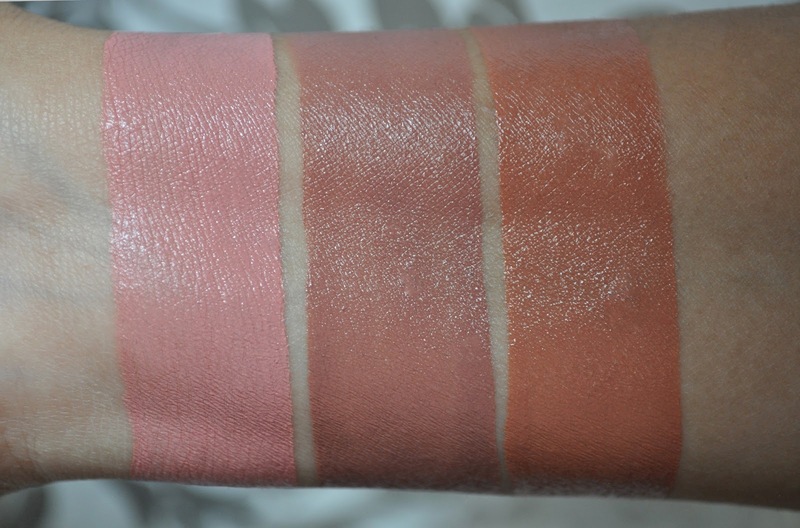 Love these cream blushes! Gladiola looks like the color of the inside of a cantaloupe on me. We haven't had a Stila counter here in some time. I've always wanted to try one of these, I love cream blushers :) I like the look of the pinks and peaches in particular, especially Lillium, Peony and Gerbera. The packaging is super pretty as well. This is one of those items that I have always wanted, but have never purchased. Gerbera looks gorgeous! i want them all!adore cardiola!! !